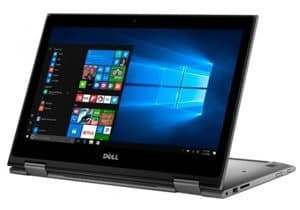 What do all these numbers mean when picking an i5 laptop? What are the key differences between i5 processors? What’s the benefit of going with a different kind of processor? Brand new processors are always hitting the market, and they seem to come with ever more confusing naming conventions. The endless progression of technology can actually work to a savvy buyer’s advantage. With newer CPUs arriving at higher price tags, you can save a significant amount of money over an i7 or i9 laptop by picking an i5 model. 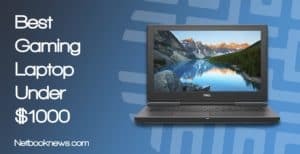 Below we’ve rounded up the current top 5 best i5 laptops available in 2018, broken down by price and specified use. There’s a lot more to consider when comparing i5 laptops than just the amount of RAM or hard drive space. The specifics of what each type of i5 processor offers is fully covered in the buying guide below, but for now ask yourself how you intend to use your laptop during the course of a day. Are you looking for a notebook that can run multiple office programs and web browsers at once? Do you intend to only run a single, CPU-intensive program at a time instead? Next up, take into account whether you need a longer battery life, or if you will have ready access to an outlet most of the time. Finally, consider if a touch screen is a necessity or if you can work with a standard display. By keeping your options open and shopping smart, you can find a very high end machine at a reasonable price. 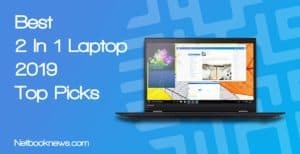 Let’s get started looking at what’s available in 2018 i5 laptop options! Want the i5 experience at an extremely low price? If you don’t mind buying a previously owned machine, the Lenovo ThinkPad is a very solid budget choice for any user. To find an i5 laptop with acceptable base specs under $400, you don’t have much choice but to go refurbished. Anything else at this price range won’t have enough RAM to be worth the cost. Picking a refurbished machine isn’t as much of a gamble as it used to be, thanks to return and repair policies from Amazon and directly through manufacturers. While this ThinkPad T440P has been previously used, it is fully restored to factory settings and wiped of all previous user data. In exchange for going refurbished, you get a mid-range i5 processor and 8GB of RAM. That combo will usually meet the needs of most home or work users. Notably, you also get a solid state drive with this model, which means the laptop will boot up much more quickly than HDD versions. If you need to work all day on a single charge, you’re in luck as well. 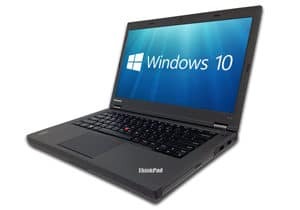 An extensive review of the T440 model at Notebookcheck.net noted a particularly high battery life for this sort of machine. Unfortunately, it also features a lower screen resolution than many other models, which is a side effect of the low price. 128GB of space isn’t much room for storing data either, so you can expect to spend a bit on an external drive or find online backup solutions instead. If you don’t need a huge hard drive though, this is a great budget option. Want a thin, low profile machine with excellent specs? This should be your top pick for the best i5 laptop at under $500! With this contender we arrive at the real powerhouse workhorses of the i5 line. With this 8th gen i5 U processor, you can tackle multiple tasks at once without losing any speed. While the price is low, you still get a thin profile that you’d expect from a more expensive ultrabook. The side bezels are extremely thin, providing a wider viewing area without bumping up to a larger, heavier model. 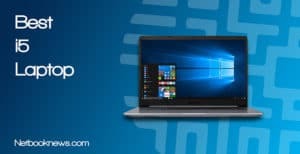 The VivoBook is typically available at Amazon right around the $500 mark. The price sometimes fluctuates a few dollars above that threshold, so be on the lookout for sales or take advantage of Amazon’s $20 off promos if necessary. Although quite powerful, this is still somewhat of a “budget” pick, so there are a few areas where corners get cut. In particular, you will see two main complaints brought up by buyers on any review site. First and foremost, the battery life is surprisingly low for an 8th gen processor model. You can expect around five hours, so it won’t last a full work day without needing to plug in and charge. Second, you get an HDD with this model, which means slightly slower Windows boot times than if you picked a model with a solid state drive. There’s room inside the chassis for an SSD however, and plenty of tutorial readily available online covering the installation process. The VivoBook can further be upgraded with a second 8GB stick of RAM if you want more memory. You won’t find many laptops that offer so much performance for so low a price, but there are other options for great i5 laptops under $500. For instance, if you prefer a larger 17 inch display, the Lenovo 330 has very similar specs but with a bigger screen. Want a multifunctional hybrid laptop at a very reasonable price? This should be your top pick for the best i5 notebook computer! You may notice that the Inspiron has similar specs overall to the Asus VivoBook listed above. There’s two key differences to keep in mind here that justify the price leap to the next tier. First up, Dell’s contender adds in touch screen support, which is huge. If you need a laptop that responds to touch while using apps, this should be your pick. Beyond just the touch screen, the Inspiron has a 360 degree rotating hinge. Unlike a traditional laptop, that means you can use it in tent or tablet mode instead of just sitting up at 90 degrees. Second, the Inspiron includes a backlit keyboard. That seems like a minor feature, but trust me on this one — once you are used to this convenient feature, you won’t ever want to go back. The cherry on top is that the Inspiron has noticeably better battery life than the VivoBook as well. For those users who don’t need a touch screen, there’s another option under $600 to consider that comes with a few trade offs. 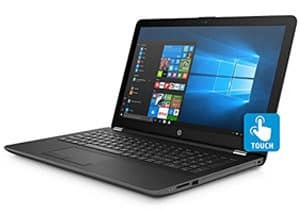 HP’s 2018 lineup features a whopping 2TB of hard drive space and 12GB of RAM for a similar price to the Dell Inspiron. While you don’t get the touch display, going with the HP model means you’ll have double the storage capacity for saving files and more memory for running multiple programs simultaneously. Want a great gaming computer that doesn’t cost a bundle? This should be your pick for the best i5 laptop! 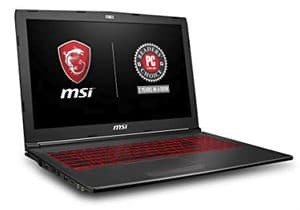 MSI has been putting out some high quality portable gaming rigs lately, and if you want to stick with an i5 model, the GV62 is the way to go. No matter what genre of game you prefer, you can expect great frame rates with the 8th gen processor and 16GB of RAM. This unit comes with the Ti version of the GTX 1050 graphics card, offering a smoother experience at higher graphics settings. You may have noticed this still features an HDD instead of an SSD. That’s not actually a downside here, though, as you get a hybrid Optane drive. Essentially, that gives you faster speeds than a typical hard disk drive but without sacrificing storage space. You get the best of both worlds with a full 1TB of space and fast speeds. MSI doesn’t forget about the style that gamers want, either. Crimson edge glow keys offer a distinct visual style, and the cooler boost button lets you flush out hot air during long sessions playing graphics-intensive games. There’s one major gaming bottleneck to keep in mind when going with an i5 model. Most laptops with this technology cap out at the GTX 1050 graphics card. If you want to upgrade to the 1060 or 1070, you’ll need to bump up the price considerably and go with an i7 model. There’s one major exception available, but it does have a downside. 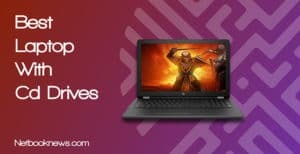 If you don’t mind adding a few hundred dollars to the price, Dell’s G5 gaming laptop does feature both an i5 processor and a GTX 1060 video card. While that sort of defeats the purpose of getting a less expensive i5 computer in the first place, it does mean you’ll be VR-ready. 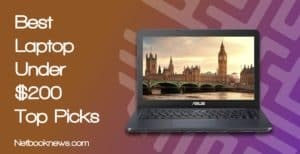 Looking for a solid laptop with loads of hard drive space and a great processor at an affordable price? This should easily be your top pick! For the best all-around laptop, we’re going to land solidly on HP’s high performance option. There are some truly stunning features packed into this machine at a surprisingly low price point. Want a touch screen? You get that. Want a full size 15 inch screen? You get that too. Want plenty of ports and a DVD-RW drive? All included. Besides the 8th gen i5 processor, the biggest draw to this model is the absolutely huge storage space. With both a 2TB HDD and a 128GB SSD, you get lighting fast boot up speeds and a ton of room to store your data. If you don’t like the cramped keyboard style used by many manufacturers these days, you’re also in luck. This HP features a full size, backlit keyboard with the complete 10 key section on the side. While this will be a stellar pick for most home or work tasks, it may not be everyone’s best choice. Want to make a few trade offs on specs for a different configuration? You can ditch the touch screen and pick up a dedicated graphics card for gaming by going with the Acer Aspire E instead. Computer specs often seem like they are design to be deliberately confusing. A huge range of numbers and letters will be thrown at you when considering different laptop models. Processors follow a very specific naming scheme, such as i5-8250U, i5-4300M, or i5-7300HQ. That seems like nonsense at first, but it’s actually pretty simple to follow once you know the pattern. The i5 segment (obviously) means its in the Intel core 5 line. The next number indicates the processors generation. For instance, an 8250 features an 8th gen processor, while a 7300 is a 7th gen processor. The next three numbers indicate specific series, with higher numbers generally indicating faster speeds. Besides the suffixes outlined above, there are three major differences between i5 processors to keep in mind before making a purchase. You can find i5 processors in dual core, quad core, or six core versions. Each “core” gives your processor the ability to perform tasks independently, so a six core version can process six tasks at once. Next up be sure to look at the specific cache of each processor. The cache on i5 CPUs can range from 3MB – 6MB. A larger cache means the processor has more room to store info for repetitive tasks where the data remains the same. That means you’ll get better speeds when using spreadsheets or word documents, for instance. Finally, look at the turbo boost options, which can give you faster speeds when the processor isn’t using all its cores at once. Turbo boost will consume much more power than normal operation however, so your battery will run out of charge much faster. Right now, your main option for processors in any kind of laptop will be i3, i5, i7, and i9. What you get by moving up or down that scale is a cost-to-speed balance. For instance, i3 processors are essentially the slowest of the bunch in most cases. They are also much, much cheaper and allow you to stick to a budget when buying a new computer. The i5 is sort of the middle-of-the-line right now, with a few higher end options available. The i7 on the other hand is usually the top range processor for most users. At the very top of the scale is the cutting edge i9, which will see the cost shoot up dramatically. Only users with lots of cash to burn who crave cutting edge hardware need to bother with that level of processor at the moment. Our five contenders listed above run the gamut from cheap budget entries to high end gaming machines. 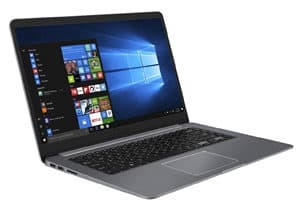 Now that you are armed with the knowledge of what all those identifiers mean and how each laptop differs, you should be well equipped to pick the best i5 laptop. Give us a shout out below and let us know what you think of our picks. Have you seen any other great i5 deals floating around? Be sure to let us know!